If you've read my article Becoming an Educational Consultant and are asking yourself, “How do I get started?" then the advice here is exactly what you need. I'm Angela. 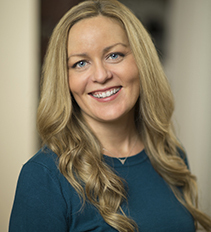 I've been an educational consultant since 2009, conducting workshops and instructional coaching in schools, publishing teaching books, and creating curriculum resources. Check out the About Angela page for more info. Keep in mind: Consulting is a VERY personal journey, and everyone's path is different. You will need to follow your own vision as you go through each of these steps.You will also need to do your own research to put the steps into practice. For example, one of the steps is creating a blog/website. I can't walk you through the process of creating a blog: that would take hours, and there's a ton of information that has already been shared about that online. What I CAN do through this course is tell you all the stuff that ISN'T all over the web: when in this journey you will need the blog, why you need the blog, and how to use your blog to establish yourself as an expert in your niche, sell your products/services, and book more clients. The steps are a framework to help you get your business game plan together. As you reach each step, you will need to rely on your own independent, entrepreneurial spirit to determine how the step will fit into YOUR unique business model. *I also share how much I charge for my services and the going rates in the industry—this is information you cannot find anywhere online. Trust me, I've looked! Eh, I like free stuff. Why pay for a course? This is NOT a formal training program. This is simply a video of me sharing my experience and advice with you. The tone and format is casual: it's exactly what you'd hear if we sat down for a cup of coffee in my living room and you asked to pick my brain for awhile. So why pay for something so simple? Because everything I am sharing in this course is information that took me years to figure out through experience and networking with other consultants. This is not advice that you can just Google. It's information that many educational consultants aren't willing to talk about publicly online: I had to learn just about everything the hard way, through trial and error. So, you are not paying for a COURSE: you are paying for the VALUE you will get from it. That's a foundational principle of consulting (and the reason why consultants get paid so much): people are never compensating you for your time, they are paying for the value you will add to their organization. It might take ten seconds for a consultant to share a piece of information that inspires transformative practices or nets thousands in sales. This course provides real value. I am confident of that. The information I am sharing here will save you an immeasurable amount of time, energy, and anxiety over whether you can actually monetize your passion and propel your work to the next level. This information will help you work full or part time in educational consulting where you can earn tens or even hundreds of thousands of dollars. 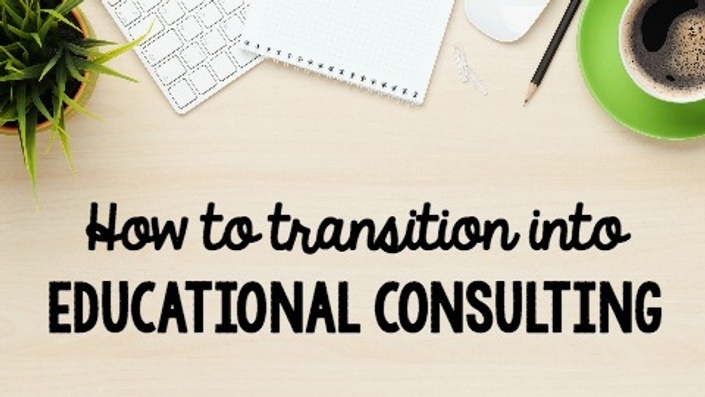 If you are serious about making the transition into educational consulting/instructional coaching or you feel like you need to know what's really involved before you pursue that career, you have to be willing to invest in your business and yourself. This is the information that will help you devise your game plan and make the transition. Take the leap and start sharing your message with the world! Your access to these resources will never expire. If you have any difficulty playing the video or audio on your devices, you can contact me via email for support, and I will work with you until you're able to access them. Make sure you're on the email list! About once per month, I'll send you other great free articles and videos to help you get started as an educational consultant and earn more money speaking, coaching, creating curriculum resources, blogging, and more. Email me. But don't email to ask if maybe you should do XY and Z in your career first and consider starting your business then. Here's the answer to that: Don't wait. If you read the video description above and those are questions you want to know the answers to, then this video will help you figure out your next course of action! Get your game plan together now. Starting learning now about whether coaching and consulting is really a viable option for you and what you need to do next. You have ideas that will transform education. Yes, you! It's time to start sharing them. If you are unsatisfied with your purchase, contact us in the first 30 days and we'll give you a full refund.